One of the highlights when you visit Oslo, is the Nobel Peace Center, which is on the waterfront next to City Hall. The Nobel Peace Center has exhibits about the Nobel Peace Prize and its recipients. 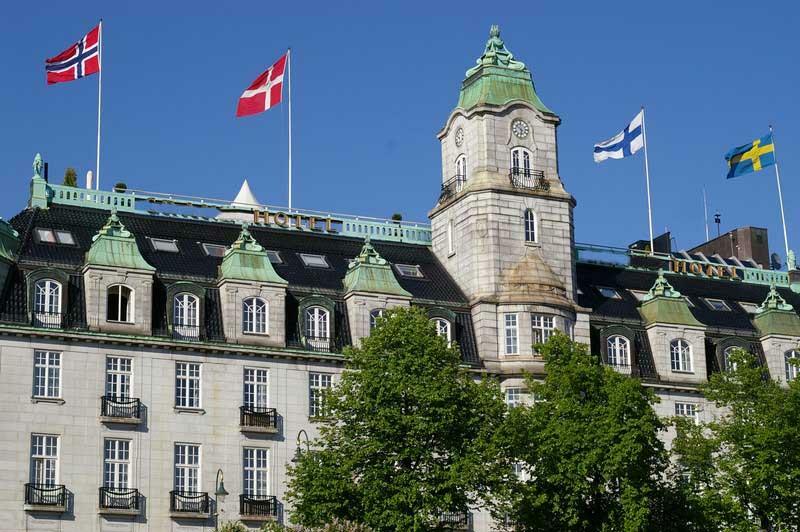 The Nobel Peace Prize ceremony takes place at Oslo City Hall annually on December 10th, followed by the Nobel Peace Prize banquet at the Grand Hotel. 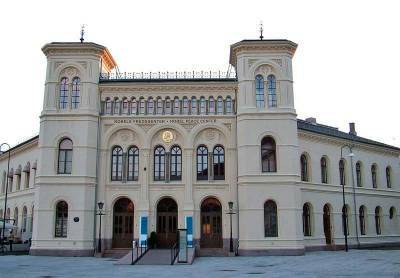 The other Nobel prizes are awarded that same day at the Nobel Museum in Stockholm, Sweden. 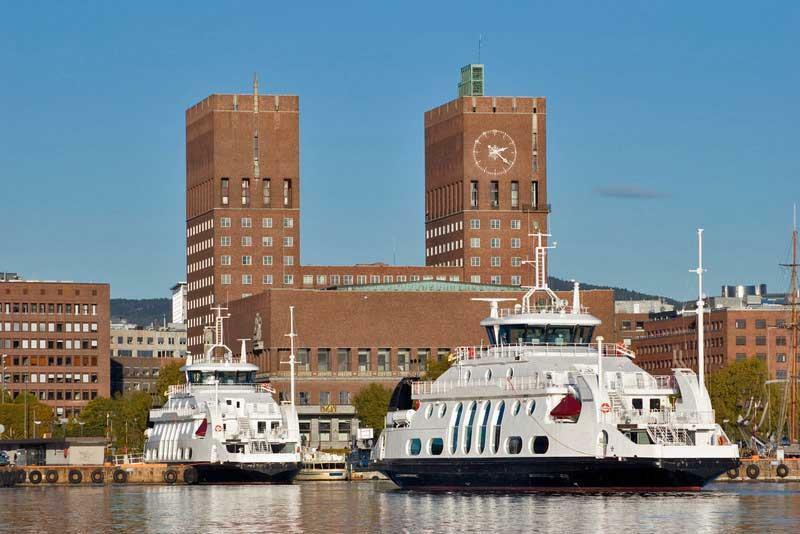 Take a self guided waterfront walk in the city center when you visit Oslo. The waterfront walk to the east of the Nobel Peace Center leads you immediately to the Roosevelt Monument, which honors the US President for his support to Norway in World War II. 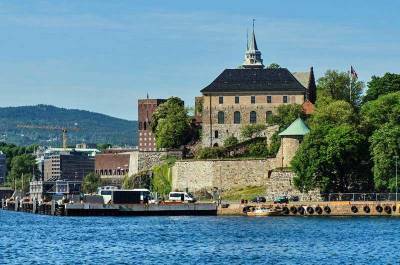 Then walk less than 10 minutes to Norway’s Resistance Museum and Akershus Fortress. 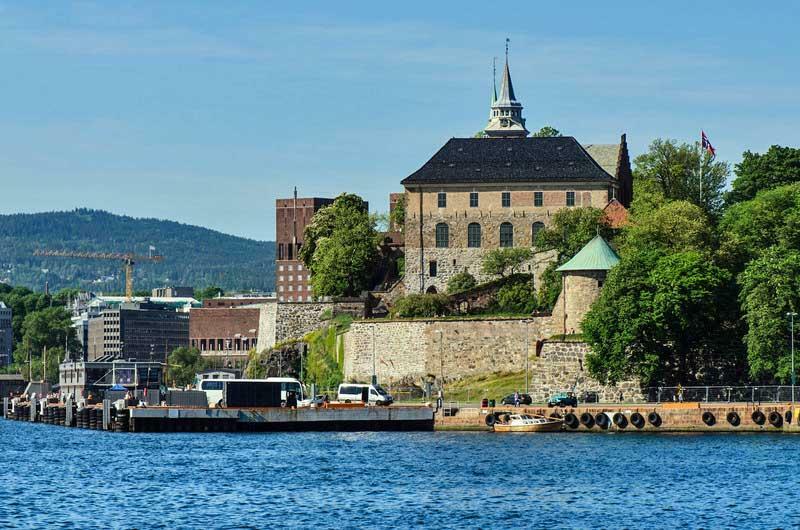 Akershus Fortress is a medieval castle built around 1300 AD to protect the city of Oslo. On the way back from Arkerhus Fortress, walk a few blocks inland from the waterfront to Christiania Square. In Christiania Square, see the Giant Pointing Finger Fountain, which is a sculpture marking the spot where King Christian IV decided to rebuild the city after the fire in 1624. To the west of the Nobel Peace Center along the waterfront is Aker Brygge, a great area to enjoy a beer and views of the harbor after your waterfront walk. You can also take an Oslo Fjord Cruise from the harbor. Just inland from the Oslo waterfront in the city center are a number of historic tourist attractions. Karl Johans Gate is a street that is popular to stroll along. Karl Johans Gate is home to the Oslo Cathedral, the Norwegian Parliament, the Grand Hotel Oslo, the National Theatre, the National Gallery and the Royal Palace. Oslo Cathedral is the main church of the Norwegian Royal Family and the Church of Norway. Trinity Church nearby is also part of the Church of Norway. The Royal Palace is the home of the Royal Family. The palace includes the Royal Gardens and a daily changing of the guard, which is popular with tourists. 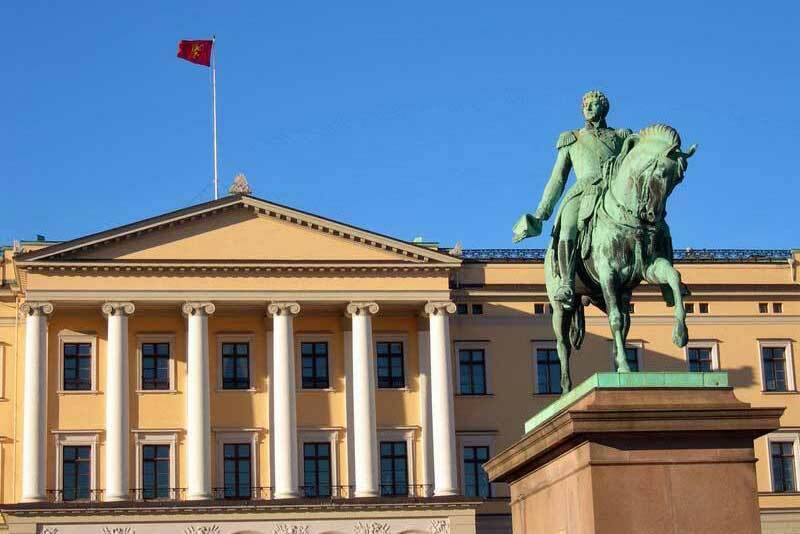 The National Gallery has Norway’s largest collection of art, including the most well known of Edvard Munch’s four painting versions of The Scream. 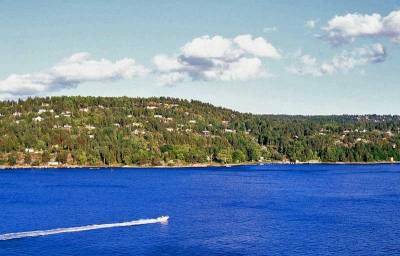 Catch a ferry from Oslo harbor to the nearby Bygdøy Museum District. Visit the Norsk Folkemuseum, which covers the cultural history of Norway from 1500 to present. 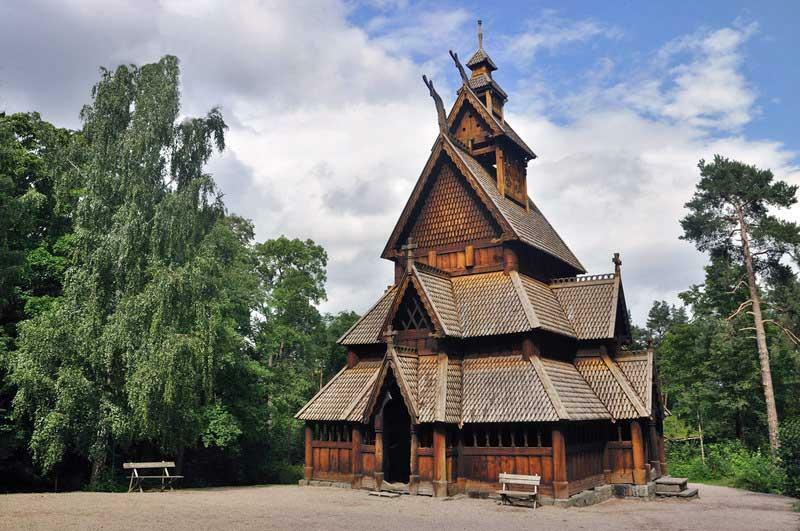 The Norsk Folkemuseum includes the Gol Stave Church and 150 other heritage buildings. The Viking Ship Museum houses three Viking burial vessels, which were recovered from the shores of Oslo Fjord in the 1800s. The Fram Museum houses the Polar Ship Fram and a tribute to the history of Norwegian exploration in the Arctic and Antarctic. The Polar Ship Fram was stuck in Arctic ice for 3 years. The Kon Tiki Museum has artifacts from Thor Heyerdahl’s reed boat trip from South America to Polynesia. Huk Beach is also located in Bygdoy. 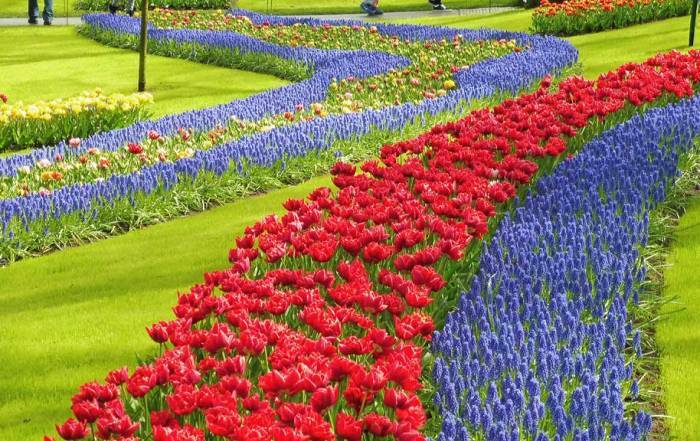 Take a 10 minutes bus ride from the inner harbor in Oslo city center to the gigantic Frogner Park. 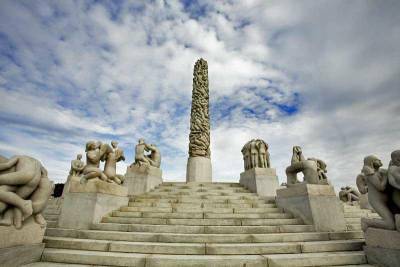 The two main attractions in Frogner Park are the Olso City Museum and the Vigeland Sculpture Park. The Vigeland Sculpture Park has more than 200 sculptures by Gustav Vigeland. 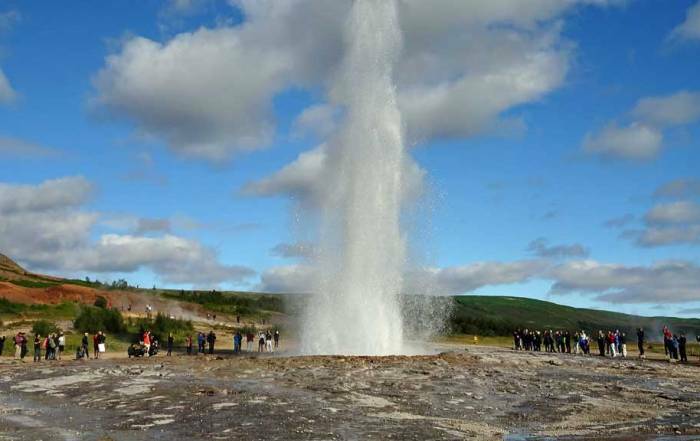 This is the largest outdoor exhibit by a single artist in the world and it’s a great opportunity to join local Norwegian’s enjoying their city. The Vigeland Museum faces the park and has even more works by Vigeland inside. Gamle Aker is the Old Aker Church. The church is the oldest building in Oslo and dates to the 12th century. Stroll the Aker River for a lovely riverside walk. See historic old wooden houses that you can’t find in the city center. Take a two day trip from Oslo on the Bergen Line Railway to Myrdal and then ride the Flam Railway to Flam. The trip through Flam has been very successfully marketed as Norway in a Nutshell. 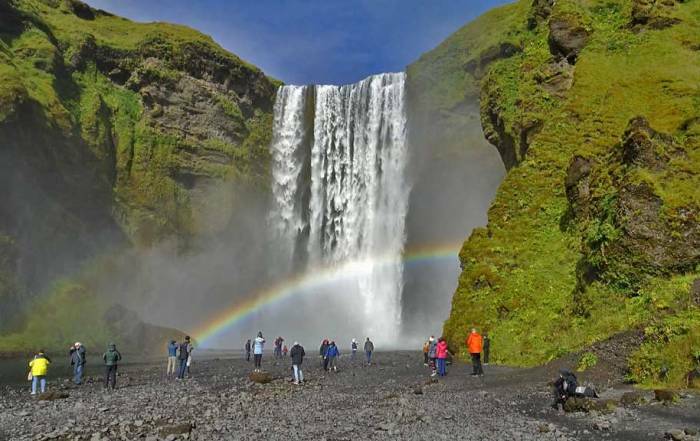 You can arrange the trip on your own, but several tour companies can make all the necessary arrangements for you. 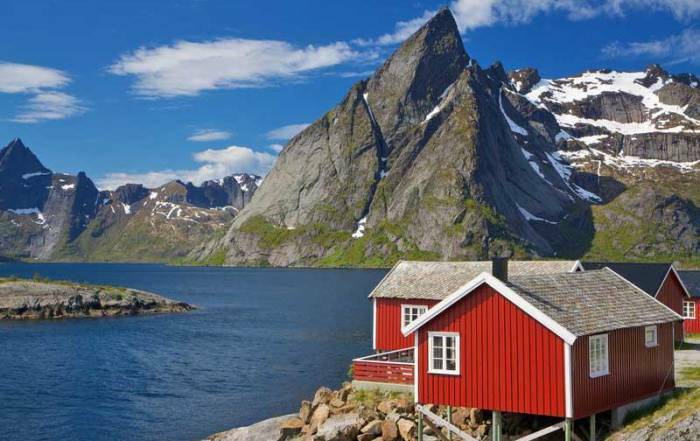 You also have the option to finish your Norway in a Nutshell excursion in Bergen. The Munch Museum has paintings donated by Edvard Munch, including two lesser known versions of Edvard Munch’s the Scream. Another version is located at the National Gallery. 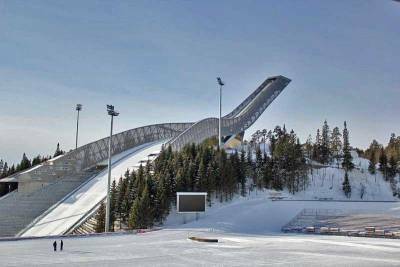 Holmenkollen Ski Museum & Tower – year round views of the city and fjord. In the winter enjoy cross-country skiing and tobogganing. 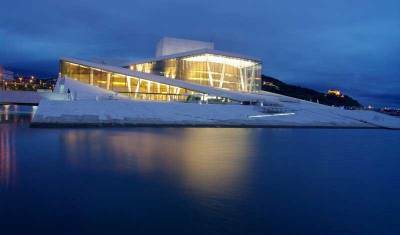 Oslo Opera House – home of the Norwegian National Opera & Ballet. Take a walk on the Oslo Opera House roof too. Buy an Oslo Pass to get access to most museums in one ticket. Oslo Gardermoen Airport (OSL) is the way to get to Oslo by air. The Flytoget Express Train provides frequent access to the downtown area in just over 30 minutes. Oslo Central Station is the transportation center for the city. Oslo excels at public transportation, with 6 metro lines, 6 tram lines and commuter rail services too. Ruter operates the city’s transportation systems. The Norwegian State Railways offer regular connections to Bergen, which takes just over 7 hours. Trains run from Oslo to Stockholm as well. Several cruise ship terminals are close to the city center. Oslo weather is influenced by the North Sea and by the city’s northern latitude. The height of summer is July and August, when average highs of 72 F (22 C) can be expected, while average lows are 55 F (13 C). From December – February, average high temperatures barely reach above freezing and average lows are around 25 F (-4 C). Rainfall is slightly higher in summer. 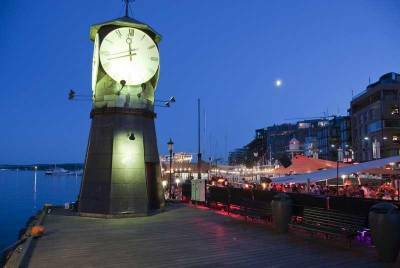 The summer months are the most popular for tourism and the best time to visit Oslo. Oslo is the capital of Norway and its largest city. More than a million people live in Oslo. 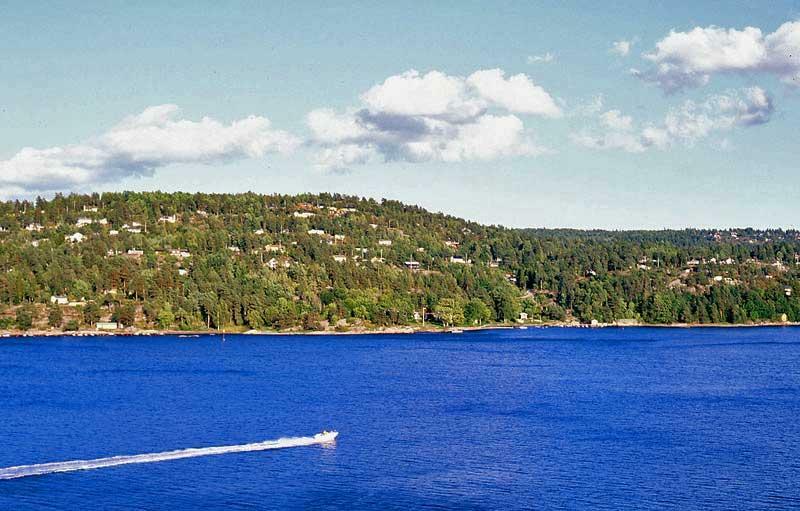 The city is at the northern tip of the very long and narrow Oslo Fjord, however this fjord is not the rimmed in steep mountains like the fjords of western Norway. 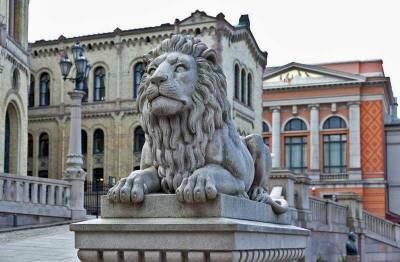 People have been living in Oslo for more than a thousand years. After fire destroyed the city it was rebuilt and renamed Christiania by King Christian IV of Denmark-Norway. 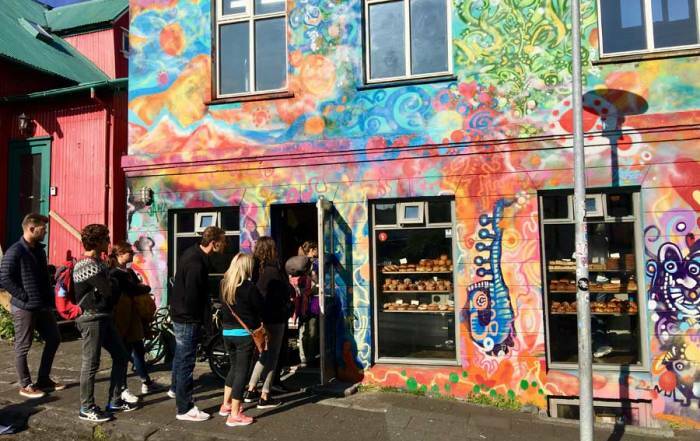 The city was known as Christiania until 1925 when the name was changed back to Oslo. 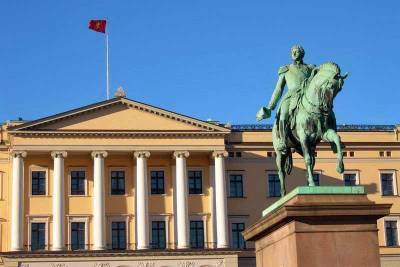 Today Oslo receives high rankings for quality of life and is also one of the most expensive cities in Europe to visit.